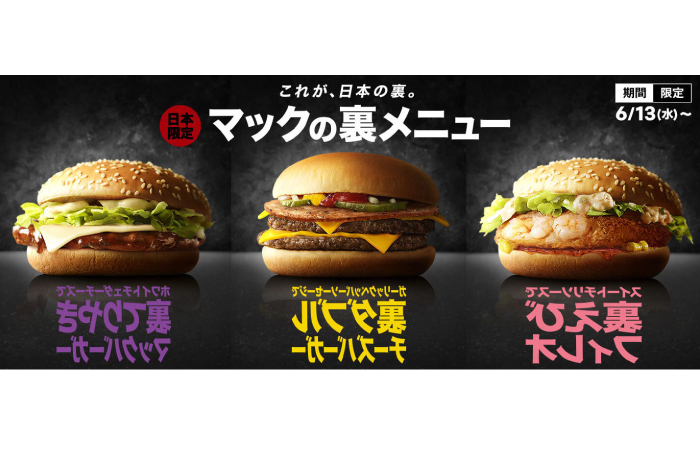 Enjoy creating your very own burger with the ‘secret menu’ arriving to McDonald’s Japan once more. The campaign was very well received before and will return again from June 13, 2018 for a limited period of time. Take the restaurant’s classic burger and add toppings to create your own personalised flavour. There are four toppings to choose from this year: White Cheddar Cheese, Garlic Pepper Sausage, Sweet Chili Sauce and Tomato. They have also introduced the Yoru Mac, a burger patty that is twice the size of the normal patty. For the first time in McDonald’s Japan history, the company are also introducing a secret menu for Coca Cola* too that includes Lemon Ginger flavoured Coca Cola and Coca Cola Float. *Coke, Coca Cola, コーク and コカ・コーラ are registered trademarks of The Coca-Cola Company. Enjoy designing your own original meal the way you want it!